Let’s say I was an alien, or new here or something — er, not entirely impossible, if you consider that I woke up yesterday with small feet fidgeting way further up my rib cage than I thought anatomically possible, leading me to wonder what I actually know about anatomy, leading to an inadvisable, rash amount of Google Image searching, leading to my eyes popping out of my head and whoa, I’ve digressed mightily — and I asked you to explain to me what is this “graham cracker” flavor that you speak of, could you do it? 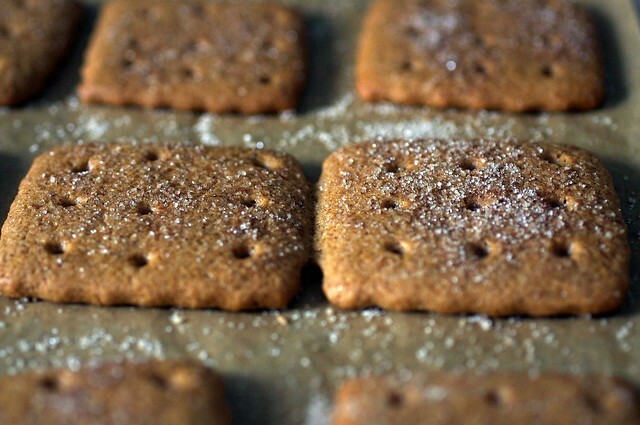 Because I’ve spent a ridiculous amount of time trying to figure out what it was, and seeing the wide range of graham cracker — they’re something like digestive biscuits, for those of you across the pond — recipes out there, it’s not just me. There was the one I tried a couple years ago with rye flour, which I can assure you, was not the answer. Graham flour — a coarsely, exactingly ground whole wheat flour — would be the obvious answer, since they originate with one Rev. Sylvester Graham himself, but that doesn’t go far to explain the curious flavor of the cookie-like crackers. Cinnamon is another thing most recipes agree on, but when I tried a version with a lot of cinnamon in it (rather than on it, in a cinnamon-sugar coating), it tasted wrong. Ditto with another that contained an excess of molasses. Anyway, I stopped searching the first time I made Nancy Silverton’s graham crackers. She’s figured it out so everyone else can stop trying. Her combination of dark brown sugar (which I know is molasses-heavy but somehow less aggressive than straight molasses-sweetened versions), honey and a large amount of vanilla makes perfect, better-than-store-bought graham crackers. Well, better than better-than-store-bought, namely because graham crackers as we’ve come to known them are rather bland and forgettable, and these are too good for a cheesecake crust. I’d say possibly too good to share with your kid, too, but seeing as I am currently at the mercy of one’s aforementioned limbs and wish in no way to draw their ire, I will promise to share. For now. Adapted from Nancy Silverton’s Pastries from the La Brea Bakery, and 101 Cookbooks, because for some absurd reason that will be immediately rectified, this book is not yet in my collection. If you’re new to graham crackers, do know that the word “cracker” is misleading. They’re moderately sweet, like a cookie or biscuit, but they do have the snap of a cracker. I can’t say that I’d serve them with cheese, but if you’ve never schmeared them with cream cheese frosting, you’re missing out. The topping amount will make a heavy coating, like the store-bought ones. Make only half if you just want a light-to-moderate sprinkling. Make the dough: Combine the flour, brown sugar, baking soda, and salt in the bowl of a food processor fitted with the steel blade or in the bowl of an electric mixer fitted with the paddle attachment. Pulse or mix on low to incorporate. Add the butter and pulse on and off on and off, or mix on low, until the mixture is the consistency of a coarse meal. 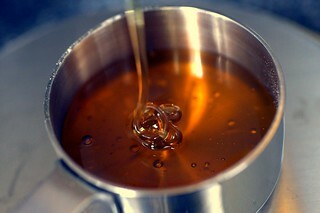 In a small bowl, whisk together the honey, milk, and vanilla extract. Add to the flour mixture and pulse on and off a few times or mix on low until the dough barely comes together. It will be very soft and sticky. Lay out a large piece of plastic wrap and dust it lightly with flour, then turn the dough out onto it and pat it into a rectangle about 1-inch thick. Wrap it, then chill it until firm, about 2 hours or overnight. 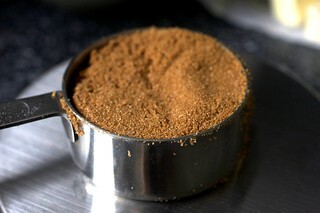 Meanwhile, prepare the topping, if using, by combining the sugar and cinnamon in a small bowl and setting aside. Place the crackers on one or two parchment-lined baking sheets and sprinkle with the topping. Chill until firm, about 30 to 45 minutes in the fridge or 15 to 20 minutes in the freezer. Repeat with the second batch of dough. Finally, gather any scraps together into a ball, chill until firm, and re-roll. Adjust the oven rack to the upper and lower positions and preheat the oven to 350°F. Decorate the crackers: Mark a vertical line down the middle of each cracker, being careful not to cut through the dough (again, this is for the traditional cracker shape). Using a toothpick or skewer (I like to use the blunt end of a wooden skewer for more dramatic dots), prick the dough to form two dotted rows about 1/2 inch for each side of the dividing line. Boy do I feel silly for purchasing bulk graham crackers yesterday! lol. These are hands down spectacular!! Mmmm, I’ve always wanted to try graham crackers, thanks! I was wondering if you think it would be workable if I used shortening instead of butter as I am currently breastfeeding and my little guy has a pretty bad sensitivity to diary. (Love means willingly giving up what used to comprise of 90% of what you put in your mouth!) Thanks! that is impressive. very, very impressive. made s’mores yet?? These look sensational – could I use agave nectar instead of honey though?? It will hurt my heart a little bit to make these delicious crackers and then crush them up for a cheesecake crust…but it is a sacrifice we must make. Yum! These look great! Adorable! I never even thought of making graham crackers. Like mustard, they are always just something I buy….must reconsider! Deb, if it weren’t for the fact I’m making your Hostess Cake tomorrow for a friend’s graduation party, I would be making these instead. Oh my goodness gravy, just when I was wondering what cookie I was going to make this weekend. My favorite! Thanks for the inspiration, I can’t wait to make these from scratch for the first time! These are impossibly cute. I’m sure to make them soon. I’ve had my eye on a chocolate graham cracker cake that these would work for. Thanks. One of my favorite snacks while living in Greece were these cinnamon flavored crackers topped with a layer of dark chocolate, and I’m thinking this would produce a really similar flavor. I’ve often wondered about recreating them at home, so I’m going to give it a shot. These photos are absolutely gorgeous! i prefer the cute little shapes you made to the bigger crackers… these are SO cute! My little girl LOVED to lodge her foot in my rib cage. I’d have to slowly massage it down when it started to pinch and got hard to breathe. To clarify, now she’s 4 months old but on the outside! I’ve been fantasizing about homemade graham crackers lately. I remember making them in the 70s as a kid. (Yes, I’m old). Will have to give this a try. I agree with Dana… never once have I thought about making my own… but I bet s’mores would be ohhhh so good on these tasty little treats! Must make! Thanks as always, you’re such an inspiration! Hey Deb, it just occurred to me: I was never, ever the type to buy kitchen tools I didn’t really, really need… until I started reading Smitten Kitchen. In the past few months I seem to have collected a tart pan, mini loaf pans, a pastry blender (none of which I have used, mind you)… and now I’m itching to get my hands on a pastry wheel so the graham crackers I (don’t) make will look as beautiful as yours. Thanks for being so inspiring, even if not exactly good for my kitchen-tool-budget. I love how you post really different recipes! Never seen a graham cracker recipe! thank you! Oh yum. I craved cinnamon graham crackers something fierce during my first pregnancy. I’m pregnant again and these look like something I will need to eat immediately. Except for the honey thing being a problem. Hmmm. i am so impressed by this, i feel almost light-headed. homemade graham crackers! I never thought about how bland the store bought ones are, but you’re right – they’re pretty tasteless. I bet these taste wonderful. And I bet they’d make an amazing cheesecake crust! I miss that feeling of little feet in my rib cage. Well, everything except the occasional blunt force trauma from those little feet. And the heartburn. Buying graham crackers at the store is stressful. The “good tasting” kind has hydrogenated fat and corn syrup in them. The healthy kind are “bad tasting” much like chewing a piece of cardboard. Because of that, our house has been devoid of them, much to the dismay of my 5 year old. Now I have a great solution! Thanks! Awesome! So have you tested this with toasted marshmallow and a chunk of chocolate yet? my mom makes graham crackers. she uses the recipe from martha stewart’s baking handbook. Thanks for giving me a reason to want to purchase a pastry cutter! :P I plan on trying to make my own graham crackers after my homemade marshmallows became such a hit on a camping trip last year. Oh I love this I want to make it someday! These look so much better than box ones! What an excellent summer recipe idea. I am going to try this tonight to serve with some homemade maple walnut ice cream. You have one luck bun-in-the-oven to be vicariously eating such delicious food. That sparkly sugar dusting is luring me in. I’ve never tried homemade graham crackers (odd tasting or not) but it’s something I intend to rectify immediately. These look heavenly! I had always heard that one could make homemade graham crackers but I just assumed they would be hard to make & the end result not worth it. Now I have to say these pictures definitely make it look worth it! Thanks for the inspiration I needed! oooh!! our s’mores will be SOOO much better than everyone else’s now! Sometimes I feel like I should just stop trying, because you’ve already made everything cool. And then I get hungry looking at your photos, and have to bake something myself. Can the whole wheat flour be replaced with milled (mortar and pestle crushed) bran flakes? Will probably turn out with more fiber? Perhaps? Now the next thing to try and figure out is Nilla wafers. I tried an arrowroot cookie the other day and they tasted just like Nilla wafers! What’s in them? Pretty graham crackers! Imagine making s’mores with those and some homemade marshmallows! Oh boy! I can sympathize with the foot in the rib cage! Ahh, I’m so jealous that you have the time to not only make wonderful concoctions but take excellent pictures of the process! I’ll make these someday… Meanwhile, I love reading your blog for both culinary inspiration and visual entertainment. Oh yes! I just made my own graham crackers a few months ago. They were awesome. I need to make some. mhmm. These look great. I love your well-curated blog. I really makes me want to run to the kitchen and start making a wonderous mess. These grahams, are they crunchy in the end? Evenly crunchy? I want to lather them wi peanut butter. YUM! I love graham crackers and have been itching to make my own for a while now. Yours look absolutely perfect! Sounds like baby liked them, too–either that, or baby is just going to be SUPER active. Kicking the ribcage…I didn’t know that was possible either! You never fail to amaze with all the great things you make. We’d like to request s’mores with these and homemade marshmallows! I am thoroughly impressed. I adore graham crackers, but always assumed they were one of those things I’d never actually make…thanks for the inspiration as always. My brother and sister go crazy for smores, so I’ve been planning to surprise them with some homemade marshmallows. Now I can go all the way! Deb, these look so delicious (and I would definitely make a double batch to use for cheesecake crust)! Do you think these could be made with another kind of flour? Maybe soy or nut flour? I have celiac and I am super tired of all the ‘gluten-free’ crap that I find in stores! Flour substitutions: I’ve mentioned the ones I’ve tried successfully in the recipe. Anything else, please try at home and report back to us. I am sure others will appreciate your experiments! KatieK — Thinner and darker-baked ones were very crunchy, the rest were moderately crunchy. You can bake them less if you want them softer. After being in an air-tight container overnight, they’re slightly softer but still maintain their crunch. How fascinating – I had always wondered what graham crackers really were. Being English it was all very confusing when I started looking at American recipes, especially for cheesecake, and having these funny cracker things involved. These look lovely, will have to make some and see what the fuss is all about. I am so happy you posted this. Just 2 weeks ago when I was purchasing graham crackers and all the crap the grocery stores put in them I was hoping to find a recipe for them. Yea! It always gets me down that the distinct flavor of graham crackers comes from GRAHAM flour. It sort of makes me despair of recreating them gluten free. But who knows, maybe these would be awesome as quinoa crackers! this is amazing – my triplets are addicted to graham crackers, but i’m trying to keep them away from HFCS, which all store-bought versions i’ve seen have. so i was just telling a friend that we need to find a recipe. like, last night i was telling her this. amazing! the problem is, i have triplets and thus no time to actually bake them. but that’s my own conundrum to deal with. Sacha – I think soy flour has a really distinct NON-grainy taste that probably wouldn’t be very pleasing in a faux GF graham cracker, and that nut flours probably have the wrong texture and oiliness to get the right kind of crispiness too. I think a combination of rice flours (1/3 white, 1/3 brown, 1/3 sweet), quinoa flour, or sorghum flour would probably make much better substitutes in terms of comperable taste and texture. (sorghum is my least favorite though, it has an almost gummy texture sometimes!). These look delicious! Too bad I already have a box of store bought in my cupboard, or I’d make these to use up the half-failed marshmallows I made last week. Yum! A while back I needed vegan graham crackers for a vegan cheesecake I was making for some friends. Turns out they don’t exist, not readily at least, because most have honey in them. I ended up making this recipe and was quite impressed with how well they turned out. I was also surprised at how easy it was to make them. I’ll have to try your non-vegan version sometime — they look delicious! Molly…honey is only contraindicated for infants under 1 year of age. Adults, including pregnant women and older children, can handle the botulism spores that may be present in honey because they have more mature bacteria in their intestines. My mouth is watering reading this – I love Graham crackers! I apparently haven’t lived, as I’ve never tried graham crackers schmeared with cream cheese frosting! Mmmm…. Graham crackers are a huge hit at my house (with frosting of any variety) so I’m putting these on my list of things to make this weekend. Gotta say am always amazed by all your baking. And your a real timesaver for me. Instead of going at it myself am all pleased sitting here watching your aamazing creations. I’ve tried to work out my own “dough-masterpieces” but ended up with a shattered heart when masterpieces turned to pieces falling through the grill. Anyways, now am gonna “masterpiece away” with your oatmeal raisin cookies. I’ve always wanted to try making graham crackers. I like to eat the store-bought kind smeared with butter, like my grandma used to do. Not good for the hips, but it’s yum. Oh my gosh. THANK YOU. (And aren’t those little feet awesome? I saw the outline of my youngest son’s fingers run across my stomach when I was about eight months along with him. Wow. I’ve always wanted to make these. I bet they would make amazing s’mores, especially with homemade marshmallows! I went on a graham cracker recipe hunt about 6 months ago and came up with… zilch. They all sounded icky. But this, this I can work with! As if your (future?) child won’t already love you heart and soul..give them a homemade (and even, gasp, store bought) cookie, and you are instantly elevated to their most beloved, forever! If more men understood this, they too could be a bigger hero in their kids eyes! But, oh well, a toss in the air, way up high, works too, and only “he”did that! We’re even. you are just like me with all the digressing! like it all makes sense in our heads and then comes out like a blahhhhh. LOL! LOVE IT! I had no idea these could be made from scratch! The store bought ones don’t really have alot of flavor, but I just keep buying them thinking that’s all there is. Thank you for this informative recipe! I know what I’m packing along on my next camping trip to make some fancy s’mores! Spent last weekend camping and falling in love with s’mores again, and will make these for the next trip! How well do you think they’d hold up over a long weekend? Or should they be eaten right away? I will have to make double the amount on this recipe so that I won’t feel so bad when I use half of it as crust and half in s’mores. YUM! I seem to bookmark all your recipes. This is definitely a must make, since my little 3 year old loves graham crackers dipped in peanut butter and honey. Yum! Love the holes in them! Genius! i made these from your website begore but they came out a little “puffy” even though i rolled them thin and the fork holes i punched in them totally filled in. Any ideas? is it the baking soda which makes them “rise” a little? You are my new favorite person at the moment. There are visions of smores dancing in my head. I can’t believe how simple these ingredients are. I’ve had 4 children, ages now from 2 to 24. Let me tell you, the feeling never gets “old”- a little foot wriggling around inside of you is an incredible, happy feeling. No more kids for me now, so hearing of your experience is so very sweet! Such cute crackers!!!! Love them. 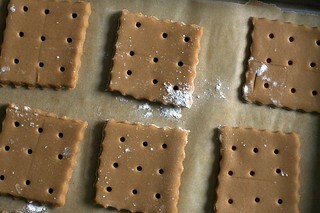 Never would have guessed you could make your own graham crackers. Grab some marshmallows and chocolate and you have a party. Or peanut butter. Or ice cream. These look so wonderful and would be the perfect snack to have at work! YUM– this looks fabulous, though. I will definitely give it a try! i don’t know if anyone has already stated this but could you imagine these crackers with homemade marshmallows and a fudgy ganache? Smores for adults!! You MADE graham crackers?! That’s one of those things I thought always had to be bought, like licorice or cold cereal. My girls go thro’ graham crackers like crazy. I’ll bet they’d love ’em. Thanks for the recipe! I’ve been making the recipe for homemade graham crackers from food network for a couple years now. They are the best. I can’t buy the crap at the store anymore. Now it is time to compare the two. This one has fewer ingredients. One thing I do different is using turbindo or sanding sugar on top with the cinnamon- it makes them even prettier. We have that La Brea cookbook, and haven’t tried all our bookmarked recipes yet because we got a little fixated on the brownies and crotin de chocolat (drool). This was one of the “try soon” recipes, but then our town got a Trader Joe’s and my sister clued me into their graham crackers (no HFCS and they don’t taste like cardboard!). TJ’s grahams are yummy, but the store is a 20 minute drive from here. I’d rather heat up the kitchen than drive that far for groceries, so maybe it’s time to finally try these. I even have a pastry wheel somewhere! You seem to read my mind at times. I’ve been thinking for days that I wanted to make graham crackers but didn’t put forth the effort to try and make them myself. After making ravioli, this will be my next one! To Molly (#21): There is no problem with eating honey during pregnancy. Infants should not be fed honey, but there is absolutely no reason a pregnant woman can’t eat it. Our adult digestive systems kill any bacteria that would be a problem for the unborn babies. Just thought you’d like to know. Wow, here I have been eating HoneyMaid all week (comfort food, bad work week) and it just hasn’t hit the spot even with the Dove chocolate I coated a few with. Why is it that things just don’t taste the same as when we were growing up? Since the boys are camping I just found my project for this weekend. Cream cheese frosting in the middle with chocolate on top too much? Grownup smores. I’ll try the cinnamon topped ones first. Nothing wrong with just basic with a cold glass of milk. Thank you Deb. And to repeat from above: Nilla wafers next? Isn’t it great to feel all those changes you are going through? T H A N K Y O U. T H A N K Y O U.
I lived in the US for almost 5 years and became addicted to these crackers. I couldn’t get my hands on them easily back here in Australia. All the recipes I searched included Graham flour. Not something I can get easily, either. I miss my occasional s’mores extravagance, and these crackers even just plain. But now I can indulge again! I’ve tried homemade graham crackers twice, and both times were disappointing. They looked so pretty and tasted OK, but the texture was all wrong. Crumbled into pieces at the slightest touch. Growing up my mom always packed little graham cracker and frosting “sandwiches” in our lunches. By lunch time the grahams were a tiny bit soggy and the whole thing was more like a mini cake. Sooo good. Can’t wait to give these a go! Would you be able to freeze part of the dough to use over the course of a few weeks to make smaller batches?? Is there nothing you won’t try? Last night Tina said to me, oh, we have oreos, and i said, no thanks. And she said what?! and I said, sorry, don’t like ’em. Unless you can get me some of Debs! mmmm-m.
I’m linking your site from my facebook page for all my peeps not in the know. Keep bakin that bun, baby. Monica2, Fleishmann’s makes a salt free margarine that should work as a substitute for the butter–much better tasting than shortening. What are the chances? I ran out of store bought graham crackers, and so of course my 3y old wants them. He candidly suggested I make some. I loved the idea, mainly because I would be doing without the added preservatives and other junk from the store boughts, and of course the challenge, but I didn’t have a recipe until today! I am so excited! You’re the best! Yum, I’m so glad you posted this as I’m planning to make them this week to prepare for a cookout. Homemade graham crackers and marshmallows for s’mores, because I am a glutton for both sugar and punishment. :) Small feet in the ribcage.. I cannot fathom. Hope you’re feeling great. I bet this are about a million times better than the store bought kind! I will have to give these a try. yeah! perfect for us expats now leaving across the pond! Do you think the chilling process is required? I wonder what would happen if you made them drop cookie style right away. Kelly and others with chilling questions: If you have any hope of the crackers retaining their shape, the chilling process is essential. Which reminds me, I need to add a note that I actually did it for half the time in the freezer (once rolled out). They can’t be too firmed up before you put them in the oven. These look great. I’ve yet to see anyone making graham crackers and wouldn’t have thought of it either. I certainly have to give this a try. Monica, there is a vegan margarine that you can use instead of shortening. It even comes in sticks which work better for baking. My grandson also had a sensitivity to dairy even through the breast milk too. He eventually outgrew it, but is allergic to eggs at 3 years old. I think that the brand that I used was Earth Balance. I LOVE this blog! I made these last Fourth of July with homemade marshmallows, and nutella for OVER THE TOP S’more’s! They were a hit! Beautiful crackers! I know they are “too good for a cheesecake crust” but can you please use them for a key lime pie crust? I am dying for you to make the “best key lime pie ever” and post it on this blog! Gretta — You are of course welcome to grind them up for a crust, but you know, it might seem like a lot of extra work. I have a Key Lime Tart recipe here, would be great with a graham crust. i always wanted to make graham crackers at home…your post makes it easier to try! OMG!! THOSE look amazing! I really will have to try these and make them. I love graham crackers!!! Yum!!! Amazing webpage btw!!!!! I love it!!!! I’ve been following your blog for quite sometime, the food in fabulous but I must say that I come back for the delivery… your writing is fabulous! These will make perfect little ice cream sandwiches… like deconstructed ice cream smore goodness, thanks for recipe! Explain it to an alien? Try explaining them to an Englishman. My poor boyfriend thinks they’re some sort of digestive biscuit with cinnamon. I’ve tried to explain, though, I really have! I’ll have to whip up a batch of these to make him understand. Graham crackers are one of those gluteny foods I never thought I’d miss. I never liked them much before (always my least favorite snack in kindergarten! ), but since going gluten-free, it’s one of those surprising foods that seem to be everywhere all the time. (You know…except for in my mouth…) And now I can’t help but wanting some. I never wanted to waste time making them because all the recipes looked bad, but yours look so beautiful, and you sound so enthusiastic, I feel like if I ever do make them myself, it will absolutely be with this recipe! Thanks! I’ve never made graham crackers, but I have heard from several reputable sources that they are absolutely memorably when home-made. I might have to try them! Hi, I found a s’mores brownies recipe (http://thecrepesofwrath.wordpress.com/2009/05/18/smores-brownies/#more-751) lately which uses graham crackers. I have no clue what s’mores are, neither do I know graham crackers (I am from Germany), but the pictures looked great and the recipe sounded yummy. Anyway, I was asking the author for a graham cracker substitution and she gave me some really good hints, but now that I’ve read your recipe I can actually make the graham crackers I need for the s’mores. This is so cool! Thanks a lot for posting it! Trader Joes sells a smiliar “biscuit” that is awesome with brie. Thanks for another great recipe, I’ll be trying this one out this week. This looks delicious! I am so going to make them gluten-free. Thanks for another great recipe. I love your blog, your photos and your recipes! Never would have thought to make a graham cracker- but wouldn’t these be excellent with butter pecan ice cream in the middle? These look so incredible and perfect! I love you. Oh my gosh. Do you realise how frustrating it is living over here in NZ and reading lots of American recipes that use ‘graham crackers’ and you don’t know what the HECK they are. It seems rather defeatest to make cookies for the purpose of crushing them to make a cheesecake base or something, but I’m going to try it one day. I suspect they will be yummy on their own though, and I’ll have to fend my father off in order to keep them. Made these today– wonderful! I think I’ll roll them out thinner next time, since mine puffed up quite a bit and weren’t very crunchy, but the grahaminess, O the grahaminess. Irresistable. I made these yesterday, along with Ina Garten’s homemade marshmallows, and then covered the bottoms of the graham crackers in a dark chocolate ganache – my roommates were so weirded out by the idea that I’d spend so much time making “gourmet s’mores” but after one each, they saw why! And then wanted seconds. I must try these soon. Do you ever get batter and flour all over the camera? We made these (same recipe) on New Year’s Eve for a fondue dinner. With homemade marshmallows provided by our guests, and the chocolate fondue, they made fabulous s’mores! We’re preparing for camping season and these will make a wonderful addition to our annual smores party….thank you. I love graham crackers but they don’t have them here in Italy. I can’t wait to try your recipe! Wondering if you could use this dough to make a summertime gingerbread house for a childrens’ party….say, a beach house decorated with shells and such? Would be fun, and extra-special since the bounty of holiday cookies in December always seems to dim the uniqueness of a gingerbread house. I’m going to try this sometime for the grandkids I hope to have in the future! You should definitely get Nancy Silverton’s book – it’s really wonderful. Her pumpkin pie recipe is amazing. There is also a really nice recipe for graham crackers in Better Than Storebought – it’s out of print, but really worth tracking down a copy. These look so unbelieveably good, I want to rush home early and make them tonight (!). One quick question, Deb – how did you get that shape when you cut them? Is there a cookie cutter knife with that shape on it? Do you use the same knife to cut the edge of pie crusts, pasta, and the like? made these today & extremely happy with how forgiving they are. I used white whole wheat flour & light brown sugar with a good dollop of molasses added in. they were devoured by kids of all ages! “Digestive biscuits”?? Um, I don’t even want to know what that could possibly be. Is that what you eat after you’re done with your meal of blood pudding and shepherd’s pie? These crackers, however, now that’s where it’s at…. Shilpa — I use a fluted ravioli/pastry wheel, and a ruler. I’m so excited to see you made graham crackers! I’ve been contemplating such an attempt since I stopped buying food items with high fructose corn syrup and hydrogenated oils… and found that graham crackers is now off limits. I can’t wait to try these! Thank you, thank you! I saw this post on friday and immediately ran home to try these out. and I must say, they were fantastic! so easy and a big hit with my 4 year old and a bunch of non-4 year olds too. :) I’m going to try making marshmallows next to pair with these for s’mores! Fan-tastic photos. Never before have I wanted to try making graham crackers…but now I kinda’ do! Just made these last night – AWESOME. I even remembered that I had printed out the 101 Cookbooks recipe years ago, but never got around to making them…why??? They are SO scrumptious. I didn’t have dark brown sugar, so I subbed about 2 tbsp of the honey for molasses. Thanks again for reminding me to make this treat! oh these look amazing! my stomach is suddenly rumbling…i think i’ll be making these soon! i’ve always wanted to try making homemade grahams… now that you’ve done all of the research and worked it all out, i have no excuse. thank you! Well I’m gonna try these. Just this morning I was eating one and wondering if I could make it. I’m wheat intolerant which is a big reason I want to make them. Which flour? Does anyone have a suggestion? I LOVE THIS! We love graham crackers at our house, but they ARE so bland sometimes – and these look delightful! I think I have all but one of these ingredients on hand, too – making for an easy recipe to try with my girls! Oh I’m so making these! They’re too cute and I bet they taste fantastic too. i saw thr photo of these beautiful graham crackers on slashfood’s blog this morning and i CAN’T STOP reading (and drooling over) your blog. cannot wait to try all the recipies. i look forward to reading about and tasting the upcoming adventures. my tastebuds thank you! Oh, these crackers look so warm and homey. I can’t wait to make a batch of my own. And then, I will make ice cream sandwiches with them. Homemade vanilla, of course! Thanks for sharing. this is perfect for a all-out smores. i was thinking about making some marshmallows to go with these too. Everyone will be happy with the chocolate covered grahams also..
so deb, how do you guys digest all that baking? to you hand them out to friends, or do they come over? i don’t think you two eat it all, do you? I recently am in a baking rampage and my pants are not happy… maybe i’ll pass it out on the train to work? just made a batch of these– they are every bit as delicious as they look in these pictures. and really easy to make, too. thanks for the great recipe! These look so tasty and way better than anything you could find in the store! I’ll be trying some with Spelt flour, and will report back. Oh my gosh, thank you so much. I moved to Australia from Canada five years ago and one of the things I really miss is graham crackers, going to get on these first thing tomorrow! I have always loved graham crackers. Never tried making them but will soon. Ok, I went ahead and made these today. I have to say that my stuff NEVER comes out as cute and good looking as yours. But they passed the taste test which is the most important thing. The chilling step is very important, as is the baking on parchment I forgot on the first tray. They came off, but not near as easy as the others. Love homemade graham crackers. This past Christmas I made dark chocolate covered cinnamon graham crackers to give out to friends. They were a huge hit. Husband’s been deployed for several months, so I haven’t visited the Smitten Kitchen recently. What a wonderful surprise to come back and find out you’re having a BABY! Congratulations! I love, love, love making homemade baby food. Can’t wait to see what you come up with. :) P.S. “Slaw rage?” Seriously? Love that. I would have never thought to make these myself. We live in a country that has never heard of Graham Crackers, and we are always bringing them back from the States for pie crusts. Thanks for the wonderful posts! I was so impressed how amazing there turned out. Like the “real” version I grew up but so much better! We don’t have graham crackers where I live (NZ) and I’ve been longing for them. I used half the recipe to make a graham cracker crust for cheesecake. On their own and with the cake, they were delicious! Thank you for sharing. Just made these last week and I am SO impressed. They were perfect. I followed the recipe exactly, making smaller crackers just as you did. I rolled a batch thicker and a batch thinner. I liked the thinner, crispier version but those I had taste test also liked the thicker ones. I made a cinnamon/brown sugar cream cheese to smear on top and it was the perfect snack to accompany a cup of coffee. Hey, these sound wonderful. A wise choice for our health and that of our loved ones, to begin making our own graham crackers since the latest list that is out of foods that have GMO ingredients in them includes our beloved HoneyMaid Graham Crackers. What a sad day in which we live! Thank-you so much for publishing this post about graham crackers. I am an Aussie who gets your E-zine and just love your recipes. I also subscribe to E-mails from Martha Stewart, Rachel Ray and other good US recipe E-zines and have always meant to find out what exactly graham crackers are as they are included as an ingredient in many recipes. As we do not have them in Australia, I never thought to Google the name but found a good definition on Wikipedia. We do not have anything quite like this in Australia although Arnotts’ Nice biscuits (cookies in US terms) are used for most of the same sort of recipes that graham crackers seem to be used in. As you say, the term cracker is a bit misleading, as crackers to us over here, are things that one would eat with cheese and processed meats like ham and salami or for eating with dips. Thank-you do much for all of your wonderful posts. I am a big fan of smitten kitchen. Have you any good “tried and true” recipes for using butterscotch chips? Again, this is not an item that is used in Australian cooking but I do want to buy some (from an online US food supply company here in Australia, called http://www.USFoods.com.au from memory) and would appreciate some recipes that I can rely on. hi! these crackers look DEEELISH. i was just wondering if it was possible to form the dough into logs, refrigerate, then slice them up, like your chocolate wafers.. which by the way are fantastic too, i used them in the crust for a cheesecake. i’m not such a big fan of rolling out dough. Sara — I don’t see why it wouldn’t work. Would be great if you could report back if you try it, so others will know. Thanks. hullo again! i baked the cookies and the rolled out ones turned out better. i rolled the dough out between two sheets of parchment paper for minimal mess. they came out lovely and had a nice snap to them. somehow for the ones i cut from a log, i couldnt seem to get the thickness right they were either too thin or too thick. so i think i’ll stick to rolling out the dough the next time round. oh and i love that the recipe has honey in it! So, has anyone tried these substituting some version of gluten-free flour? I’m dying to try them after all the great comments, but I need a GF version! I used malt syrup instead of honey, and I can’t imagine it could taste any better. The strange bitter sweet taste of the malt syrup goes so well with the brown sugar it’s hard to describe. Malt syrup is a good, healthy alternative (and vegan/gluten free). The dough’s still chilling – I haven’t baked them yet – but I have high hopes! Some tips for new cracker bakers that I forgot since I last made crackers; 1. place crackers a small distance apart – if not they will puff up and grow together and will be unevenly done favoring the edges. You can still break them but they won’t look as nice. 2. If they do not seem crispy but are starting to burn, take them out and let them sit on the pan over the vent for the oven. This crisps them up well. A great recipe all in all! Thanks so much! How long did these keep for? I would like to make them for 4th of July but we are traveling a long distance. How many days will they still be tasty if I make them and keep them air tight? Marshmallows are currently firming up in the fridge. Thanks AS ALWAYS for a spectacular blog! They should be fine for the 4th; I’d say they keep a week or two (but are better the first week). Make sure your container is truly airtight. Did I miss the oven temperature in the recipe? I’m making them right now so I guess I’ll just set it at 350 and keep my eye on it. Yes, thank you — fixed! I made this recipe yesterday and the end result was another SK success for me. Having said that, it didn’t come together completely perfectly for me. Have you ever tried this with a standing mixer? I see from the pics you used a food processor but I used a standing mixer and I would advise against it. Since the butter is frozen it doesn’t get cut into the flour by the paddle attachment in same way I imagine it would from a blade. So when my dough was pulled together and going into the fridge to chill overnight, I saw pretty large chunks of solid butter. Also, this dough required more flour on the rolling surface than, say, your brownie roll out cookies (loved those! ), but the baked cookies hold shape and turn out really nicely. I have more notes on my blog which I’ve linked from my name. I’ll post pics there. These look wonderful and I plan to make them next week, but I’m wondering if it is possible to use graham flour, which I happen to have on hand. And if I do, should I make any other adjustments? Thank you so much for this and so many other amazing recipes! These sound great! My kids have conflicting food allergies (what one can eat, the other can’t…), and I have to make virtually everything from scratch. I haven’t found any store-bought graham crackers they can have, and I sometimes feel like they’re deprived by not having any! So glad to find a recipe for homemade graham crackers! I’m going to try them today if the boys cooperate. Oh thank you!! This recipe is exactly what I was looking for! I’m going to try them this weekend with some homemade marshmallows and chocolate! I am doing a table for a charity luncheon and my theme is ‘vintage school’. For a get to know each other snack I plan on milk in bottles with paper straws and homemade graham crackers. So, do I need to make these the morning of the luncheon or would the day before work? I am just not sure how well they keep in perfect condition. Thank you so much. Ok..I’ve never been a fan of graham crackers, ever. Which is why I’ve never cared for s’mores. Chocolate? Abso-friggin-lutely. Marshmallows? meh(always seemed…chalky? to me). BUT, then I found a recipe for homemade marshmallows. THEN I found this recipe. My kids like s’mores, I like cooking, baking. :) So I made both in one night. I’m apparently a glutton for punishment, and live in a kitchen that’s a constant disaster. The crackers are awesome! (marshmallows too, btw) I too wonder why they are called crackers, and not ‘cookies’. My husband–whom doesn’t eat sweets, came in and tried one out of sheer curiosity, and perhaps the glare in my eye that insinuated a horrible night for him if he didn’t–wouldn’t stop stuffing them in his face. But alas, my question is this: If I were to make a graham cracker crust for my inadvertant purchase of some cute pumpkins–that I thought were just small, and turned out to be for pies–how do you recommend I go about doing so? Should I just crush? And do I add the butter and sugar like others say to do for store bought, or no sugar? (I’m worried it would be too sweet). OR should I just make the recipe and instead of cutting, line the pie pan with it? Poke holes and blind bake, or fill and bake? Sorry if this is a bit overwhelming, but I’ve only ever made one pumpkin type pie, and that was actually a pumpkin cheesecake with shortbread crust. My thinking is that I should line the pie pan with the recipe as is, and perhaps partially bake it, then fill and finish. Please advise! Thanks. You can make a graham cracker crust with these according to any graham cracker crust recipe — same as you would with store-bought. I wouldn’t advise rolling this out and making a crust of it. It wouldn’t work the same. I finally made these! THANK YOU!!!! As someone who hasn’t been able to eat a graham cracker in over 10 years, YAY! I used spelt flour, using the same proportions of white & whole grain as your suggestion, plus a scant tsp of xanthan gum. I did have a question, though: I’m learning to bake by using your site, so I’m a little clueless. I kept thinking they were done, pulling them out, and finding that the ones in the middle of the tray were soggy (uneven oven). Put em back in, try again… Suddenly, the cooling rack occurred to me. When I decided they couldn’t possibly need to cook longer, I threw em on. The problem: Not burnt at all, in fact delish, but some cooled to be really really hard. What level of stiffness are we looking for when they’re still hot? I’ll definitely be making these again, though I think I’ll cut back on the sugar just a tad. BTW the salt–brilliant. First of all, thanks Deb for sharing this as I’m an American living in Australia and am always frustrated by not being able to buy certain American staples, particularly graham crackers as they are called for by a number of classic recipes (thanks to Bern for posting the website for an online US shopping site, the correct address is http://www.usafoods.com.au but at $10.99 – can you believe that! – for a single box of very ordinary crackers, I am more apt to make my own). Most recently when we went camping and my husband was unable to bring home a box of graham crackers for the s’mores I had planned on introducing to our Australian friends as well as our dear half aussie children, the last time he was in the US for business (he being an Australian didn’t really give it the priority it deserved!). So this year, I’m planning to put together s’mores kits to give for the holidays with home made graham crackers and marshmallows (as written in SK with egg whites – why is everyone afraid of using egg whites these days?) and a bar of gourmet dark chocolate complete with skewers and written instructions of how to assemble them, to our Australian friends and family and to homesick expats like me. As it is summer during the holidays and high BBQ and camping season, I thought it would much more appropriate than giving home made marshmallows and cocoa mix! 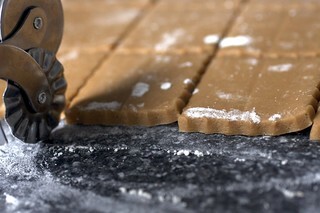 Secondly, just wondering if anyone has tried the Graham Cracker recipe from French Laundry found in the epicurious website: http://www.epicurious.com/recipes/food/reviews/Campfire-Smores-15300?pg=2. There seems to be significant variations in terms of amount of butter (far more, almost twice) and sugar (far less, almost half) used for the cracker. Deb, do you find the graham cracker a tad sweet, particularly when used to make s’mores? Could the amount of sugar be decreased without altering texture? 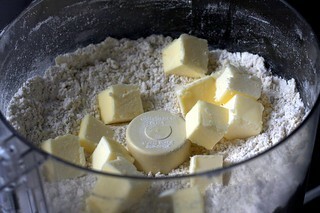 Also, would you recommend to increase the amount of butter if substituting 1/2 cup pastry flour? Please advise! Jung Yoon — I have not tried the French Laundry recipe, but now I must. I would say that these graham crackers are sweet, but not more so than the ones you buy; they have a slight chewy density to them that the originals don’t have. I am not sure if you can decrease the sugar because I have not tried. Do let us know if you do. I find the comments on that recipe hilarious, btw. People are appalled that the magazine suggests they may be interested in making a version of their favorite junk food at home. Like, many commenters are actually angry. I guess times have changed a bit in the last decade. These were real nice. Mine aren’t as pretty as featured above, but they’re tasty. I might wrap a few in a lil ribbon and give them to friends. These and Martha’s homemade vanilla marshmallows were the surprise hit at the office pot luck today. No mere Hershey bar would do, but chocolate ganache with peppermint schnappes was out of control delicious! I don’t usually comment on these things, but I just made these and they are fantastic! They are “reminicent” of store-bought graham crackers, but they certainly have a much more intense flavor. Thanks! These crackers combined with your marshmallows make for perfect homemade s’mores! The flavor is perfectly ‘graham,’ and they have a great snap to them. I did end up cooking them almost the full 25 minutes, btw, and they came out perfectly (though not nearly as pretty as uniform as yours!). Hmm, I expected to love these, as Honey Maids with peanut butter is one of my FAVORITE late night snacks! The dough stayed in the fridge for 2 days, which may have had an effect on the result. I did need quite a lot of flour to roll it out, but every batch seemed to bake strangely. Batch 1 I didn’t pre-freeze (time constraints) and the dough stuck to my Silpat, so rather than scrape them off for freezing, I baked them in place, pre-scored, as one gigundous cookie. The edges ended up crispy and the middles more like semi-soft gingers. Batch 2 and 3 that were frozen for 10 minutes or so kept overbaking, even with fewer than 13 minutes of bake time. I’m eating them now after them being in Tupperware overnight, and they’re just not very good. The soft ones feel stale (batch 1, and they are the best of the bunch) and the crispy ones are way too crunchy for me. The flavor is nice, but I can’t imagine making these again. Did anyone else get these results; did I do something wrong? They are BEAUTIFUL! Thanks so much for all the recipes! I ended up cooking them even shorter (using a convection oven here, and it tends to have that effect). I think the total time was 8 minutes. One thing I would note for others, though, is that you have to wait for them to cool to get crispy. I tried one when warm and was slightly disappointed because it was just soft and chewy. About 5 minutes later, however, they were fantastic. 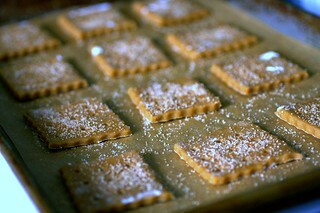 I made this Graham Crackers with a little twist, Merlot Grapeseed Flour from Apres Vin. They turned out phenomenal, Thank You so much! I love you’re blog! Check out mine to see the Grapeseed Grahams! This is a life saver! I forgot to get graham crackers from the store and I needed it for my dessert. Thank you! 2 Tablespoons of Vanilla Extract?! Is that correct? I like vanilla extract in my cookies and cakes but that seems excessive. Mike — It is correct but there’s no reason you cannot dial it back if it seems excessive to you. I made these today — a rainy day in Ohio — with only one modification: agave syrup instead of honey. The dry dough resisted being rolled out and easily tore apart. So, I made some in the traditional cracker form and othes as round cutouts. Nevertheless, I am thrilled with the result — the kosher salt is a fantastic addition! The results are worth the wait! delightful. ditto the advice about letting them cool to achieve crispiness. Now onto homemade marshmallows- I’m 33% closer to homemade smores! The dough is now chilling, and boy, does it taste good. I’ll be crushing these crackers to use as the crust for your New York cheesecake — a treat for a family gathering soon. Thanks, Deb. I just made these for a bonfire and I received so many compliments! Everyone was thoroughly impressed. Thanks for the recipe, we had the best smores ever! I forgot to mention, we spread nutella on our graham crackers before sandwiching in our marshmallows. I love melted chocolate in my smores and this was a perfect solution. These are awesome!! I made a batch for a camping trip this weekend, and I think they’ll make the best s’mores ever. These were wonderful! My daughter went on her first overnight with a friend today, and they are going camping. I made graham crackers and marshmallows for them to take, her friend’s family is providing the chocolate. Mostly homemade s’mores! I think they’ll be amazing. These are more sturdy and slightly sweeter than boxed grahams. I microwaved one cracker and one marshmallow for 15 seconds and the sweetness balance was just like the s’mores I remember. I do not have any chocolate in the house right now though (what an awful statement that is! ), so I am not sure how milk chocolate would affect the balance. I think it will be fine. Also, I chilled the dough in the freezer and everything rolled out wonderfully. Do flour very liberally, the excess is absorbed right into the cracker as it bakes. On the few that had a little flour dust when they came out of the oven, it brushed right off when they were cool. Lowered the temperature and shortened baking time to fit my high altitude needs. My first batch just came out of the oven. These are soooo good! Perfectly sweet and crunchy. I almost over baked mine b/c they were still soft. They crunch up when the cool so if they LOOK done, take them out. I’m in Italy and they don’t know what brown sugar is unfortunately. I used organic demerara cane sugar instead. I was worried about crunchy sugar bits in the crackers but they are cruchy enough that you don’t notice and the flavor is way better than subing white sugar. Thanks! I’ve been wanting to make graham crackers for a while! Interesting recipe, although for it to truly be called graham cracker it should be made with graham flour, not white flour. If you were planing on making a “graham cracker” crust from this recipe, why not cut a “cracker the size of your spring form pan and back it in there, then when it cools, just add the filling, no need to crush any crackers, plus you can cut back a bit on the butter and feel less guilty about having a second slice. on a side note: I’ve never seen graham crackers at the store with any sort of sugar coating, but I live in a small town, so that may be why. Graham flour is mentioned in the post… However, my goal was to approximate the graham cracker flavor we know and love without sending people on a treasure hunt for an ingredient not sold at most grocery stores. A few people have suggested just using this dough as a crust, but I’m not sure I agree it is the answer. Crumb crusts have different textures, a finely ground, tender thing going on that you wouldn’t get from a large cookie. That said, I don’t think anyone would complain, either way you made it. Just wanted to say thank you. I have a batch out of the oven and another in the oven. And that’s just half of the dough! It is yummy. I wound up using just white flour and light brown sugar, because it’s what I had at home. Cut it into 1.5 inch squares, because I’m feeing it to my kids, no need to break cookies, like store bought ones. TAs you stated, the dough is really sticky, had to apply a lot of dustings of sugar. But mainly, thank you to you for all the research that you do. I can’t just buy graham crackers at the store because of the corn syrup, as my son is allergic to it. So this is wonderful. More snack options available to him with homemade goodies. Hi Pat — A couple comments up (222) I give my opinion on this. However, if you don’t actually like traditional graham crusts, you might want to give it a go. Would love to hear how it went! I just tried making these for my sick boyfriend (poor thing has mono!) and I baked them all of twenty minutes, and they were completely burned black. I have an oven thermometer and the temp was definitely 350. Going to try again tonight with only 10/12 mins in the oven. Hopefully they’ll come out okay this time! would substituting buttermilk work vs. whole milk? These are so cute! I’m gonna make some today. Made the graham crackers over the weekend and found that they burned at 350 degrees, even in the 15 minute window. The last batch was baked at 325 degrees and turned out perfect. Might have been my oven but I thought I’d toss that out. Made these for a pumpkin cream pie crust for Thanksgiving and they ARE INCREDIBLE. They TOTALLY outshone the pie…but that is a good problem to have! I froze the rest and will take them out for another pie at Christmas. I’ll look for a more robustly-flavored filling next time. Maybe something cranberry? Ideas? Hi ladies, I’d love to try making a batch of these for some holiday gifts. Are they (or can they be) travel-friendly? What’s their shelf life like? Deb! I am a long time lurker but this is the first time I’ve commented — I just tasted after (barely) letting them cool out of the oven — I can’t believe I made graham crackers, so proud of myself! Thanks for a fabulous recipe — I made it exactly as stated and they turned out great. Using them for a party in a few days, will they be OK stored in an airtight container for a few days? Deb- what kind of camera did you use to take these food pics? I have got to get one! Thanks! ESPECIALLY after seeing many bugs going in and out of the little holes in a pack of store bought grahams.. months before expiration!! I made these the other day, and they are fantastic. Seemed to taste like cookie dough, so I went with using a very small biscuit cutter ( I can’t seem to cut a straight line) and made them like little cookie bites. I also upped the cinnamon, so it had more sass to it. Result was a cookie-graham, I suppose. Great base recipe, versatile. Thanks for posting it. The rest I made the same. It came out nicely (although the texture was slightly rice flour-y), but I might back off the vanilla a touch. If anyone else finds themselves in a hurry, I’ve found they disappear just as quickly when you simply roll the dough out on parchment paper and bake as one giant cookie… I use a pizza cutter to slice it up into squares just after it comes out of the oven. The edges are a bit, er, rustic… but I haven’t heard any complaints! Very good and easy kid treat. my dough turned out dry and flakey. I did swap out 1/2 cup whole wheat flour. Should I have increased the milk to accomodate? BTW they tasted delish, but we’re very pretty. First round just out of the oven. These are amazing!! I tried to see if anyone else pointed this out…Surely you don’t mean 2 TABLESPOONS of vanilla? I don’t think I’ve ever seen a recipe calling for that much vanilla! If you don’t could you please correct? It is correct. But there’s no reason you cannot use less if you feel it would be too strong. I am trying out “lunchbox” recipes for my daughter who starts Kindergarten in the fall. These are definitely making it in the book I’m creating, they turned out great! So is your goldfish recipe. Yum! I transferred them to a rack once they seemed set enough that I could move them with a spatula. It shouldn’t tremendously affect the outcome of the cookies; mostly the fear is that they’ll “cook” too long on the still-hot pan. Hope that helps. Thanks! That’s pretty much what I did, too, and they came out great. Addictive little buggers – graham CRACKers indeed! I just made another recipe of graham crackers yesterday and wasn’t super impressed. They came out tough? Can graham crackers be tough? I was hoping these crackers would be saliva soluble so that my 7 month old could gnaw away at them, but they were too hard and although he liked the taste, he couldn’t swallow it. What do you think is this recipe appropriate for new eaters? Hi there! This is one of the first of your recipes that I’ve made. Delicious, but I found it to be a lot of work! I found I had to use the dough in small chunks in order to roll it and put in the cookie sheets before it warmed too much and got sticky. I also had to use lots of flour in my rolling. Could easily be a user deficiency, but I probably won’t make these again. The whole point was to make homemade “teddy grahams” for the 5yo, and while he helped make them, he wanted no part of eating them. On to the next! Thanks so much for the recipe and the detailed explanation! these are phenominal. i have made other graham cracker recipes before, but this one is the best! i made mine into gourmet smores… i spread them with toasted marshmallow creme and topped with another cracker, then them dipped in chocolate! thanks for a great recipe! I’m re-reading this now and making second batch Even if they are alot of work they are much healthier then store bought. I’m hoping they are a hit this weekend when we go camping. I will make these, I have been wanting some homemade graham crackeers, as the store bought ones seem to get worse with every passing year and also the price has become astonomical also. I have been wondering how it would be to use in Bakers Ammonia in the crackers? As this is the leavening used most in Europe, instead of basking soda. Bakers Ammonia is supposed to make a crisp cracker or biscuit (cookie) I may make two batches with the different leavenings and see how they turn out. Exactly what I was searching for! THANKS. A friend made these today and had the 6 little children roll them out and use cookie cutters. They are delightful and yummy. My question is: What camera/lens do you use to take these equally yummy photos? thank you. Thanks Jen. I use a DSLR and a 50mm most of the time. I might have used a macro for some of these. Wow. The frozen butter chunks in the Kitchenaid make an impressive mess when the flour is thrown out of the bowl! Very nice – I found them a little sweet, and cut out the sugar, just using the honey the second time. Still great, and with the WW flour, not too unhealthy. Also decided to try chocolate grahams… substituting 1/3 cup of the flour with cocoa. Yum! To be clear – I used the 1/3 cup honey and sugar sprinkled on top, and that was plenty for me. I loved them. And then I loved them even more after my 5 year old suggested we use them to make s’mores (he is SO my son!). Off-the-hook, reediculously yummy! You never fail me – I adore you! I’m terribly intrigued.. and would love to know if anyone used these crackers in a pie crust. Sure, I will make the crackers just for the crackers’ sake, but, I wonder if it was worth the effort? I would think so.. but love first hand knowledge. I just made a batch of dough and it looked a bit dry, so I made another batch. It looked much better, but all I can think about is that now I’m going to have TWO amazing batches of home made graham crackers!!!!! Who knew you could MAKE graham crackers!?! I just made a batch of beer marshmallows from How Sweet It Is… I can’t wait to put them together and dip in chocolate!!!! Then sprinkle with pretzel crumbs! My mouth is watering! First batch just came out of the oven… I don’t know what I was worried about.. they are AMAZING! My husband already polished off about a dozen (I made 1″ squares to fit on my “mini” marshmallows) and I already polished off about 5. Do you think I can freeze the other batch without baking? I have a feeling these are going to last a while. Since I made them so small I got about 100! I made these a while back, and froze half the batch. Yesterday, after I’d started making cheesecake (Alton’s Sour Cream recipe, delicious!) I realized I had no crackers, so I used the frozen dough as “pie dough”….pressing into the bottom and up the sides of the cheesecake pan. Blind baked for about 8 minutes, and filled the cheese cake. I love this recipe. (You can check my blog under food page for a photo and link of the cheesecake, although the pic isn’t of the pie “dough”). I am never going to make graham cracker crumble crust again, just use this cookie recipe as pie dough. It is truly outstanding! Hrm, my homemade marshmallows are gonna have a nice home tonight sandwiched between these. Great recipe! First I have to say I love your blog, I love your recipes and the photos are just WOW!! Tried those crackers this week and they were gone before I had time to notice. The entire family loved them. Thank you! I just made these this evening and they turned out great! My dad, who’s kitchen experience is limited to the toaster, says that if I keep finding great recipes like this one he will start baking! I baked my first cookie sheet for just over 15 minutes and they were very well done (too much). The following trays I cooked for about 13.5 – 14 minutes and they were perfect. Once they are completely cool they have the perfect snap to them! I made these earlier this week and loved them! I posted all about it and was sure to give you credit – and linked back here. If you’re interested at all, it’s my newest post. Thanks for sharing such a great recipe! I just tried to make these and none of the batches turn out… I followed all your instructions and the only thing I did differently was use 4 TBS skim milk and 1 TBS half and half since I had no whole milk in the house. Could this be the reason that mine turned out burnt on the bottom and almost uncooked on the top? They also spread a LOT even though I put the first batch in the fridge for the full time and the second in the freezer thinking that might help. They were a little thinner than yours, but not much. Also, about 7 minutes into baking the bottoms were already burnt. I even tried to test the temperature of the oven but it was true to temp. Any help or suggestions you could give would be appreciated! Someone in a facebook meal planning group I belong to pointed me here when I was looking for a cracker recipe. I am so glad they did. I can not eat brand name graham crackers for some reason we are guessing it’s the gram flour. I have missed them so much thank you! I will be making these soon. I am impressed with all the return postings. I just put into google graham cracker recipe and this was the first to pop up. Would like to try a version of it using canola oil instead of butter. The store bought ones say ONE OR MORE OF THE FOLLOWING, CANOLA, SOYBEAN, ETC AND FINALLY P A L M OIL. You can bet that they only use Palm oil,,,cheap and durable, and SATURATED. ONE OR MORE OF THE FOLLOWING IS THE RESULT OF LOBBYING FROM THE FOOD INDUSTRY IN FORMING WHAT IS ALLOWED ON LABELS. IF TRANS FAT IS 1/2 GRAM OR LESS PER SERVING, THEY CAN SAY ZERO GRAMS. WHO EATS ONE SERVING. We’re trying them today, w/out butter, will let you know how they turn out. thanks again. Could I use these graham crackers to make the graham cracker crumbs needed for your buckeyes recipe? I couldn’t buy the packaged ones filled with saturated oils and high fructose corn syrup. I haven’t tried these as a replacement but see no reason why it wouldn’t work. Good luck! I have to say that I had my doubts about this recipe – the amount of vanilla did seem strange, and there were several not great reviews, but I decided to give them a try nonetheless, without any changes other than about 1/4-1/3 less sugar (learned that you shouldn’t tweak SK recipes the hard way). I made mine with about 50 grams of whole wheat flour, and they turned out absolutely amazing. Yes, they are labor intensive (no way I’m ever doing this again without a square cookie cutter! Measuring out and drawing lines on rolled out dough with a ruler at midnight on a Friday isn’t exactly my idea of a good time! ), but the end result could not have tasted any better. Yum and fun! Just made these tonight to send with homemade raspberry vanilla bean marshmallows and gourmet chocolate to family for Christmas. Delish! Mine aren’t as pretty, though… a little raggedy, but good. Thanks for a great recipe! I’m going to try baking these cookies to use for the walls of a gingerbread house, decorated with lots of lollies. In the instructions it said to use Graham crackers but apparently you can’t find them in NZ. OMG Thank you for this recipe my daughter loves these!! Is the vanilla extract really 2Tablespoons? Or should it be teaspoons? Thanks! 2 tablespoons is correct. Feel free to use less if you think you won’t miss it. I’m having a terrible time with the stickiness of the dough, even after a heavy hand with the flour shaker. But I snuck a taste of the dough (so tasty! ), and I’m determined to make these work! Got the dough in the freezer to chill back up and gonna try again by rolling them out on parchment. Crossing my fingers! i just love this site! often when i google a recipe for a homemade version of some store bought something, i find myself here! kudos to you! your photos are enticing and make my mouth water:) my daughter and i are currently in the 2hr cooling stage of the recipe…can’t wait to eat them all before we share them with our brother and father! I cannot wait to try these! Every recipe I have found so far has cinnamon in the cracker, and I am not a big cinnamon fan. Just discovered your blog today through Kiwi Crate, and I can’t. stop. looking. Thanks! Scraps that might be leftover from whatever shapes you cut the graham crackers into, or if you use the suggested shape, which has you trim a bit before continuing. Thank you for this recipe! Just baked these up for the family, and they were so tasty. I actually made a (much) different graham cracker recipe about a month ago. It was taken from “Simple Foods For The Pack”, which is put out by Sierra Club. Let’s just say, your recipe has several more ingredients, and a few more steps…but the crackers taste markedly better! And we’ll leave it at that. Just made my second batch. My oven is pretty normal temperature, but I couldn’t bake these longer than 9 minutes without burning them. I subbed 1 cup of whole wheat flour in the second time. The texture was a little different, but it was still crunchy and delicious. I subbed in white whole wheat flour and agave instead of honey, used a round 3-inch cookie cutter, and came out with 18 cookies (I halved the recipe). Super delicious, but very sticky – any tips on how to manage that while rolling out – I’m a novice baker. Awesome recipe! I made these (heart shaped) with a drizzle of Giardelli’s bittersweet chocolate along with the SK marshmallow recipe and brought it to a friend’s house for a dinner party this past weekend. The s’mores were amazing, but we all decided these grahams may be too good for s’mores and could stand alone. I imagine enjoying them with a sweet after dinner drink served in place of dessert… maybe something hot with a bit of coffee, vanilla ice cream and Frangelico. I’d be wearing velvet slippers, someone would be smoking a pipe and ‘What’s New Pussycat’ would be playing in the background. Shazam! These. Are. De. Licious. I’m going to try them again with a non-butter or butter-nonbutter mix so that my dad (who is watching his cholesterol) can enjoy them a bit more freely. I love your recipes and the writing makes me feel like I’m sitting in your kitchen with you! Thank you! I anxiously await your cookbook (with a mouthful of grahams). made these last night/today and they are FANTASTIC. i found that 11 minutes worked best for my oven. i used about half of them for a cheesecake crust and the remaining half will just be snacked on. i will definitely be making these again, does anyone know how long the dough can be frozen for? i’m 7 months pregnant and this seems like a great recipe to have ready. This will be my third year making Pi grahams using your recipe at my son’s request. I even dock them 3 across, 1 on one leg and 4 along the other. Thanks for helping start a fun tradition! It’s been several years since I learned baking this from you. This has become a joy to do once in a while. However, my kids don’t appreciate it much if eaten as it is. What I do is to use the grahams as base for pies and other pastries. Thanks! Hi! I just made your goldfish recipe (except mini star shaped) and my 13-month-old LOVES them, as do I. Hopefully I will not eat them all during his nap. So now I want to try these Graham crackers but am wondering if you or anyone has tried them with reduced sugar? Is it worth it to make them with 1/2 cup brown sugar? Thanks! Yesterday we ran out of the store bought graham crackers, much to the disappointment of my 3 year old. But I cannot justify a trip to the store for one item which turns into many unnecesary indulgences, so I found your recipe. Thanks, made them today. My 3 year old of course taste tested and said, “these are yummier,” then the store bought. That’s the best review I can get, so no more store bought for us. Thanks! I have nothing but good things to say about your site…if I’m googling a recipe and I see your site come up in the results, it’s always the first thing I click on. But…this recipe was a disaster for me. I can’t seem to actually get these to baking sheet. I liberally floured – I even tried to roll them out on my Silpat WITH flour. I’ve lost a quarter of the dough to the counter top, my rolling pin, and my apron. It’s a good thing I don’t have children, or they would have learned some horrendous expletives if they overheard me working with this dough. I read the comments and saw only two or three other people had problems – and I’m so perplexed as to what went wrong when so many people had overwhelming success. Is it because all I had was 2% milk? Please help, because I desperately want to make these and send them in a care package to a friend in Atlanta as part of a s’mores kit with homemade marshmallows. Thanks! Thanks, and thanks to the Nancy Silverstein book, too. I promised my wife home hade smores, with marshmallows from sarah moultons recipe (really yum) and valrona chocolate. personally, the cookie is the goal, and this is the one. As to the dough falling apart: make sure it is cold and work quickly. the cold hardens the butter. and the flour sprinkled on top forms a cloche — a light protein net that holds it together. a quick light hand helps, and a floured table. if it is still difficult for you, cut the liquid just a bit as a cheat. made these last weekend, following the recipe pretty exactly, and they turned out great! what a fun recipe. made these with your marshmallows for a homemade smores kit mother’s day gift. never would have thought to make my own graham crackers, but these were pretty easy and so delicious -i don’t think i’m going back to store bought. Wow! These were labor intensive and I thought to myself as I was putting them in the ove “boy these had better be good”. They were! I made a double batch for a family get together and they were GONE post haste with requests for for to be mailed on any holiday possible. Made them again for my son’s Kindergaten class snack, we used “dog bone” cookie cutters and I dipped one end in dark chocolate. Again a huge hit! I like that I can cook them les time and have a softer cookie, or more time and have the crunchier kind. THANK YOU! I can’t wait to make these again! These are AMAZING. I made a test half-batch today, since for the 4th of July me and my friends want to have Star Wars S’mores. Well, I happen to have a Star Wars cookie cutter set that was a gift, so I wanted to try making the graham crackers from scratch. (Next week: marshmallows!) Today I tested the cookie cutters (never before used) and the recipe, and wow. You forgot to mention one super-important fact about these. They smell AMAZING when they are baking. Forget chocolate chip cookies or apple pie, the next time I need to fill the air with scent for a party, I’m making THESE. We’ll be making these tonight! These will be perfect for the fruit and pudding parfaits we were planning for dessert. Thank you! Hey Deb! I love this post! I am going to be making these with my art camp children tomorrow. I want to have them make dot patterns in the tops of the dough – will it be alright refrigerated for up to 4 hours before baking? Thank you! Yes, cookie and cookie-like doughs like this can always be refrigerated before baking. Hope they like them! I have been wanting to make graham crackers for a long time and this recipe finally made me do it. They were the best graham crackers I’ve ever had! I used 1 1/2 cups all purpose flour and 1 cup white whole wheat flour to great results. The dough was really sticky, but it baked up fine. Thanks so much for posting such a great recipe. I posted about them on my blog and would love if you’d come take a look. I made these today…they are so good you won’t believe it. After they baked I cut a marshmallow in half and put it on top, popped in the oven for about 5 minutes until it puffed and became golden.Brought them out stuck a milk chocolate kiss on top, back in the oven for a melting…about 2 minutes or less. OMG crispy, warm smores…with melty chocolate fainting atop..try it with coconut marshmellows and dark kisses too! kayla — By “pure,” I meant not the imitation stuff sold in most stores. I LOVE that we’re finally starting to realize we CAN make the foods we’re buying in boxes at the store at home – after all, that’s where they started out! I love the rustic look of your grahams and can’t wait to try them. Thank you so very much! I just made these. Addictive, crunchy, buttery, sweet- I’ve already eaten 4!!!! I used white whole wheat flour and light brown sugar (just what I had on hand). The dough was NOT sticky when it came out of the food processor ( even a little crumbly). Undaunted, I put them in the freezer and after chilling I had no problems rolling them. I baked them on foil since I had no parchment, and it took only 15 minutes. I m on a diet now, but when i made these before, I used either graham flour or whole wheat flour, because they appear to be the same thing. It has to be refrigerated, or the oil in it will go rancid and make it taste bad. We love Graham Cracker and are so tired of looking for bargain prices on something that used to be an inexpensive snack.. These are worth the cost of the ingredients to have fresh and tasty cracker vs store bought boxes. thanks..
Yea so these taste pretty much amazing! I want to eat them all by myself but I’m using to make smores poptarts from takeamegabite.com The end! Making s’mores was on my Fall Bucket List! I made these graham crackers for a camping trip this weekend and two different people told me the crackers our treats the best s’mores they’ve ever had! Thanks for the great recipe. I am getting ready for my toddler’s 2nd birthday party which I approach with the anticipation and focus akin to the Super Bowl. My guy has a dairy and tree nut allergy. Any idea what milk substitute you may suggest–soy, oat or rice? All tend to be a bit thinner than cow’s milk or would water be better? Can you convert these to a gluten free version? Sorry if there is already a comment on a gf version, I didn’t read thru the hundreds of comments. Check comment 227 or 237 for GF suggestions. Good luck! I have a cookie cutter in the shape of my home state, South Dakota which will make these all the more ridiculous, adorable, and delicious. So excited!! Thanks for the recipe. Dead easy to make! I froze the dough for an hour, rolled and cut and baked. Forgot to put the topping on the first batch, so brushed with water when they came out of the oven and then sprinkled. Used metric measures, rounded to the nearest 5 ml/g. Fan oven 170c seemed to work okay. Yummy, slightly reminiscent of a digestive (I used some wholemeal flour). I tend to make something special for my American ex-pat friends for Christmas (since we all live overseas and suffer from American junk-food withdrawals), and I think this will be perfect for this year! Add some homemade marshmallows and Hershey’s chocolate bars, and I think this s’mores gift package will be a hit! Thanks for the inspiration! Thank you very much, I live in the U.K. but always wondered what Graham Crackers were and would love to try proper s’mores. Going to try and make some for the kids on Christmas Eve but could someone tell me how do you melt the marshmallow and chocolate, and is it before you put them in the cracker or after? I have followed your recipe to a “T” and they are in the oven baking. The scent is heavenly. We are making them for a friend’s husband. She bought him a backyard fire-pit for Christmas and we made him marshmallows and these crackers; chocolate and beautiful dogwood sticks will be wrapped with them so he can make the completely crafted version of s’mores. Too bad I just found this recipe just now. I’ll try this one for my strawberry cheesecake base. I use a strawberry flavored cream which makes more satisfying. The graham cracker tones down the sweetness. You said “Adjust the oven rack to the upper and lower positions and preheat the oven to 350°F” but not which rack you actually cook them on. Can you clarify this for me? Thanks! Ok, used the top rack and they are AWESOME! You can use either rack; just rotate the trays halfway through. Could these be used (without the cinnamon-sugar topping) to make your book’s s’mores layer cake? Or should I just hope that I’ll find store-bought ones in Paris? I think they should be available, but thought I should ask, just in case… And if I do find them, do you recommend store-bought instead of homemade for the cake or, if I’m willing to put in the extra effort, I should go with homemade? Great question and I wished I’d tried them there. Theoretically, they should work. But, if you don’t want to make the effort, you might be able to find digestive biscuits in France (they’re a UK thing but definitely seen more often on that side of the pond) which should work as well. Can these made with bleached all purpose flour? I have read some other graham cracker recipes and they say its absolutely have to be unbleached all purpose flour. Smitten, I have to tell you that these are great. Thank you for doing the hard work of perfecting this recipe! I provide treats for a local store in town and I used these to make homemade s’more pops. I dipped heart shaped grahams in chocolate then sandwiched a homemade pink sugar coated marshmallow between two of them. They are delicious and beautiful!! Thank you. My sister made these last night and they were amazing (being snowed in required s’mores of course!). She added a little almond extract, which I loved. Have these with a cup of earl grey tea; they are amazing to dunk!! I made a batch of these and used them for the s’mores layer cake, and they worked wonderfully!!! My graham crackers were a lighter, somewhat speckled color, but they were delicious, and the cake, oh my, the cake!!!! It was kind of a belated birthday cake for myself, as we were celebrating with friends we hadn’t seen for a while, but you know, any excuse to make this cake would have been good enough! Oh, and remember the 6″ springform pan I bought for my real birthday cake? The tiny but intense chocolate one? Well, it served me perfectly for a tiny, 6″ version of the s’mores one (halving the book’s recipe, as there would only be 4 of us)!!! So, in other words, this year, you are rocking my birthday cakes!!!! So thanks, I guess! so, these were AMAZING. THANK YOU. my kids and i made them together into shapes with cookie cutters. definitely best thin. i used half graham flour and half unbleached wheat flour and didnt even chill (kids were too impatient) and they turned out great. we even made some as gingerbread men with raisin eyes. i am freezing the other lump of dough to use later. LOVE. Do you mean only 1 cup whole wheat pastry flour, total, if you’re going to use it? Or do you mean sub out one of the cups of unbleached all-purpose? The latter is what I would think, so that you still have a total of 2 1/2 cups plus 2 TBS of mixed flours. Thanks! Can’t wait to try it! Jeannie — I mean swap out that amount for all-purpose. I literally just made these about 15 mins ago. I made them with a gluten-free flour mixture and threw in some guar gum and they are AMAZING! Thank you for sharing the recipe! My daughter has multiple food allergies and on days when the rest of her class gets graham crackers for a snack, she feels left out. Now she can take her own to class and eat along with everyone else! Thanks again! Sorry for the other flour substitution clarification. If I want to use whole wheat flour, what amount do I use? If I want to use whole wheat pastry flour, what amount do I use? So 1/2 cup whole wheat flour, 1 cup whole wheat pastry flour and 1 cup all-purpose flour plus 2T all-purpose?? My goal is to make these for our first camping trip this weekend! I’ll most likely use fluted square cookie cutters because I’d be too nervous that my lines weren’t straight! By any chance do you have a favorite homemade marshmallow recipe, too? I’ve made these before and they were marvelous. However, we never seem to have enough honey around, and s’mores season is hopefully coming soon here in WI (also planning to make your marshmallows. Yum). Is light agave syrup, the mildest tasting agave, an acceptable substitute? At my house, we never want to be without a good s’more, SK style. Lindsey — Yes, it should work. Will light brown sugar work? Because that is what I used and my dough is in the fridge setting up…..
Erin — Light brown sugar should be just fine. Dark just has deeper flavor. Yesterday I was in line at the dollar store and the clerk and a customer were talking about how graham crackers weren’t made the same anymore. We all agreed that they tasted flat and they we3re grainy. This recipe sounds great and I will be making it (or maybe my roomie will. She’s the baker.) thanks for posting it. They should keep in an airtight container at room temperature for a week, possibly longer. I just made these and I think I have a solution to the stickiness. I rolled the dough on parchment sheets and used a sheet of plastic wrap between the dough and the rolling pin. I froze the dough on the parchment for about 10-15 minutes. Then I used a pizza wheel to mark the lines and “traced over” them with the back of a knife, trying to make the cut lines wider. I baked them on the parchment, too, without moving them. So I wound up with a solid sheet of dough that was cut into squares. It puffed in the oven so when I pulled them I had to recut the lines with the pizza wheel (you could still see them). But after baking, the cookies were stable enough to transfer to racks. So I put the squares onto cooling racks and let them crisp up in the still warm oven. If I make these again (and I will, they are awesome) I think I’ll divide the dough into thirds and make them thinner. I didn’t measure the dough thickness precisely, I just filled my parchment sheets (they are standard half sheet size). Oh, and in my 350 oven with convection fan blowing these were done in 13.5 minutes, though they needed to crisp up afterwards. I almost hate calling these graham crackers, though, because they are SO much better than the original ones. Holy tastiness! There are many versions of this online but yours is by far the greatest. I have made these often for smores (marshmallow recipe from Bon Appetite) using nutella as the chocolate and they’re totally mind blowing. If my husband sees the dough in the fridgerator he cuts a piece off to eat raw! I can’t say enough great things about them or you and your great blog. I would like to make a chocolate graham cracker and was wondering would you substitute a small amount of cocoa for flour or just add cocoa to recipe or increase liquid? Thanks so much for all the excellent food. Keep up the great work! I got brave and gave it a shot. I added 1/2 cup cocoa powder an extra tbsp milk AND butter. The dough looks and smells great. I couldn’t resist while my food processor was out I made a regular batch too. I will bake off some of each later. New question: how long do you think the dough will keep in the fridge? Can I freeze a portion? Cindy — I think it will keep in the fridge for several days. You can freeze it, too. Oh, and usually you would swap out some flour with cocoa powder, but this recipe has enough softness that the extra cocoa probably didn’t harm it. Hello — I followed the recipe precisely, however, the came out to be very salty, or is it perhaps the flavor of baking soda? Any thoughts on this? Deb I made these with my almost 3 year old son. We rolled out bears with a cookie cutter and punched holes all around the edges of the bears just like you did with the squares. So adorable! The house smelled amazing as they were baking and they taste like graham crackers, but better! Question: I’m afraid this repeats at least two different inquiries but since I didn’t find an answer to the second you get them both. In the list of ingredients, is TWO (2) TABLESPOONS of vanilla extract correct? Not TEAspoons, TABLEspoons. And you stipulate PURE vanilla extract, which is stronger than NATURAL extract, which has no alcohol used in extraction or, for that matter IMITATION extract. // Just looking at the 21 times vanilla was used in 363 comments I think you might have an entire article about making graham crackers that would set us all on our heads. Thanks very much for this site. Rede — It is, in hindsight, a lot, but I used it as written and didn’t feel that it overwhelmed. I have never heard of their being a difference between pure vs. natural extract, though I guess I’ve only ever bought pure. Since it’s just a flavoring, if you don’t want a strong vanilla flavor, do feel free to use less. I often taste the honey, though, more than the vanilla. I having the hardest time working with this dough. I am almost ready to give up. It is very sticky. I have used so much flour to help, that I am afraid it is going to alter the taste of the cracker. Any tips? Hi Tucker — It’s very sticky, always. Just try to create a thin flour buffer between the dough and counter and another between the dough and rolling pin, rather than letting it knead into the dough, and it will be fine. You can also chill the dough a little to get it to firm up, so it will be less sticky. Dorie Greenspan simplifies sticky dough roll outs by rolling dough in a large ziplock bag and chilling, then peeling away bag from dough. Simple, clean. fun! The kids used cookie cutter shapes. They’re crispy and yum… a little like gingerbread. Maybe next time, I wont cook them as long. Thanks! I am going to make S’mores kits as gifts for Christmas. I made a test batch of your graham crackers and they are a hit! Do you think that I can make them in advance and freeze them? Deborah Tillman — Yes, the graham crackers should freeze well. Girl. , if you’ve never had graham crackers with a piece of lacy Swiss cheese on top, you are missing out. It’s one of my favorite snacks from childhood. My kids love it, too. Just wanted to pass that along! Thanks for a great recipe to make a good snack even better! This recipe looks delicious! I have everything on hand to make these, except for milk. Do you think vanilla almond milk could be used instead? This recipe was fool proof! I did substitute some of the all-purpose flour with wheat flour without any adverse effect. My son already consumed 5 or 6 of these in the first 15 minutes after they cooled down. Thanks! Gorgeous blog! I just made the dough for these. using whole wheat pastry flour and the food processor, and the dough was REALLY watery-even after adding several 1/4 cups of flour. Is this normal, or does this portend disaster? The dough was DELICIOUS, in any case. We shall see. This recipe is as much a joy to read as the recipe was to find. You right with a humor that I find really refreshing. so glad I found your site. Your in the favorites list. I have a question about the butter. The ingredients list says butter, cubed and frozen. Does that mean frozen solid like an ice cube? I am a baking newbie and am unfamiliar with the practice of using frozen butter. What is the reason for using it? I’m looking forward to making these for my kiddo! veronica — It means to dice your butter into small bits and freeze them. The colder, the firmer, the better in some doughs. This one gets soft and sticky quickly and the extra-cold butter makes it easier to work with. how would it be to use graham flour? (bob’s red mill) Perhaps not available in your area or too expensive? I once owned a stone flour mill with variable coarseness. I ground hard winter white wheat and it made some fabulous bread. Of course not everyone is going to have one. Hi Kevin — I would use it to replace some of the all-purpose, but not all of it. Maybe 1/2 cup to start, and see if you can bump it up to 1 cup down the road without compromising the taste or structure too much. I love this recipe so much – they turn out perfect every time. Had a question about possible variations though. Needless to say I’m super happy to have found your recipe so I can make some proper cheesecakes and Nanaimo bars and s’mores!! The following day I used them to make a graham cracker crust for a key lime pie. All my guests were impressed. Thanks so much for sharing. Not only are the pictures gorgeous but the recipes are great!! I’d love to make these for my almost 7-month old (he’s teething, and we’re baby led weaning, so I think he’d like to gnaw on them), but there’s the whole no honey before 1 thing. Any idea if there’s a substitute for the honey that might work? Thanks! Toni — Perhaps agave or maple syrup? For agave, you might need less because it’s sweeter. For maple syrup, you might need a spoonful extra flour because it’s thinner. Help! I’ve made this recipe 1/2 a dozen times now and followed your directions to a T. The cookies ALWAYS spread out, look hideous and are limp. What could I possibly do different? I live 4500 feet above sea level so I have tried raising the temp of my oven to 365… Do you have any other helpful hints? Thanks! Reduce the sugar by about 1 TBSP per cup. INCREASE the flour by about 2 TBSP. DECREASE the levener by about 1/8 tsp. Preheat the oven to a hotter temp than posted but reduce the temp to what’s called for in the recipe when you begin to bake. I am not an expert on high-altitude baking, only because I’ve only ever cooked at sea level. However, there are many resources online that might point you in the right direction. I understand that liquids evaporate faster, so often smaller amounts are needed or the result can be too soft/moist. Less sugar is a common tip, as well as less leavener because amounts go further at higher altitudes — it sounds like this could relate to the spreading. Made these last night and yummm!!!! But my dough was toooo sticky to roll out and properly peel away from even a heavily floured surface. I freezed with almost every step. I used only all purpose though. Would it be better to sub out the little bit for the wheat flour? Just for handling purposes. Would it make a difference? Or should i increase the flour a little? Is it possible to make these with a dairy substitute? We don’t eat dairy in our house. They look delicious! Thank you! And I love your blog! Re, dairy substitute — Yes, I’d expect it to work just fine without dairy. MM — I don’t think that whole wheat would change much in the stickiness part — mostly, you just want to keep it very cold and the counter well-floured — but I actually like a little whole wheat in there for flavor. It makes them taste even more authentically graham cracker-ish to me. I’ve made these twice.. the first time was a couple years ago so I forgot about the near-burnt-crackers incident. At least for my oven, I would say 12-14 minutes + watch them like a hawk.. once the edges start to go they’re a bit on the burn-y side. Flavor is there, though. I removed immediately parchment and all to a cooling rack with no issue. I am planning to coarsely crush and apply to the side of a strawberry cake we’re doing… though I am re-thinking if my second oven batch is a bust. I’ve been looking for a good graham cracker recipe since it’s practically impossible to find a store bought graham cracker free from the top 8 food allergens. This recipe looks easily adaptable and I can’t wait to try it — thank you! May I just say on behalf of Brits everywhere a huge thank you for not only publishing this recipe BUT FOR PUTTING THE INGREDIENTS IN GRAMS AS WELL!! You do not know how much time I spend converting American recipes that use cups into grams!! Trader Joes has amazing store bought graham crackers, like none I have ever had, but these sound fantastic I’m going to try them tomorrow! DB — I will! I was very curious when I saw that recipe last week. I think these here are very good, but not perfect. These look delicious! Actually, the original graham cracker invented in 1829 was made with graham flour: a combo of finely-ground unbleached-wheat flour with the wheat bran and germ coarsely-ground and added back in. They were unsweetened or mildly sweetened. Much unlike the graham crackers of today, which are much sweeter and mostly made with white flour. Made these last night (for graham cracker and roasted strawberry ice cream sandwiches) and had a totally different dough than described: it was a lot drier, flakier, and more like pie crust. This is kind of similar to what Sayonada, Megan, and Lauren were experiencing. Baking time for me was about 6 minutes at 350 deg F (they burned at 8 min!). Will definitely make again, keeping the (somewhat unintentional) mods! Hi Deb! 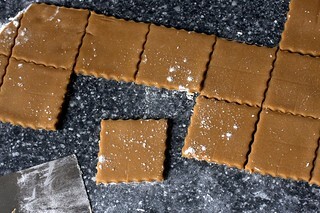 I was wondering if you have any ideas as to how to make a chewy variation of this? I’m thinking of taking out the milk and baking the cookies in balls for a shorter time than the recipe states. The first time I flopped an uncut homemade marshmallow out of the pan, I longed for a giant graham cracker. Lo and behold, this recipe appeared. Make two large crackers, a marshmallow, and some ganache, and you have party food everyone remembers. You need to 1.5X this recipe for 9X13, but as written, this will do for more reasonably sized s’more. Because, you know, there are reasonably sized s’mores. Call me weird… Actually store bought grahams are really quite good with a slice of mild cheese. American cheese is ok…colby, mozzerella or provolone is better. Think about it…grahams with cheese is essentially = grahams with milk. Grahams with a little peach preserves (or strawberry, cherry, raspberry, etc) and cottage cheese (4%)…it’s like peach cheese cake. So happy to see people still posting here. I’m wondering if anyone tried putting the dough thru a lasagna press? I want to make a whole lot for a Halloween party and I’m looking for the easy way. These look wonderful. I’m hoping to attempt S’mores Hamantaschen this year. Do you think the dough would hold up to being folded into the triangle shapes? Amy — I’m honestly not sure. It might be worth experimenting with a portion of the dough to see. Even though this is the umpteenth time I’m making these, I love to read the post everytime. Especially the intro is so funny! Whenever I make these crackers I find myself secretly plotting plans to make a cheesecake with the “leftovers” haha! I had to purchase graham flour for another recipe, and the only Amazon Prime eligible order had me buying 4 bags of it. I was hoping to use it up by making a GIANT batch of graham crackers (seemed logical to me) but you haven’t used graham flour here. Do you think it would result in too-tough crackers? Airtight at room tempearture; they should last for weeks. Just wondering when you put the cinnamon topping on the crackers? Oh never mind, I see it now! I cut them with a biscuit cutter and adjusted for high altitude. Can you use Graham flour instead of AP? I absolutely love graham crackers with cheese, especially a good sharp white cheddar. Havarti is also good. Even goats cheese is good on a graham. Is there a chocolate variation? Someone mentioned a chocolate one above: 1/3 c cocoa powder replacing 1/3 c of flour. I would add a little coffee concentrate or a pinch of espresso powder if you have some. Just made these. Used ~90% white whole wheat (then the bin was empty), only a 1/4 c brown sugar, added 1/4 tsp. cinnamon to make up some of the loss of sweetness. Also, only had one T of vanilla, so made up the rest with whiskey. Barely sweet and perfect for s’mores. 1) I used your fantastic “roll out the dough between 2 pieces of parchment [though I use empty cereal bags] and put it in the fridge or freezer” method. 3) I used my cooling rack to “measure” and have straight lines. It worked brilliantly! I made these to use in an “Éclair Cake” … basically an icebox cake with graham crackers, pastry cream and chocolate ganache. The homemade graham crackers are so good!! And easy. I make savory crackers quite often and roll them in a pasta roller so did that here, but next time will just roll them out. I had anticipated that these would be soft-ish but they are nice and crisp so in hindsight easier to roll, cut and bake. Still, they worked fine in the cake even with the “rustic” shapes :). I used about 1/3 whole wheat pastry flour and 2/3 AP white flour. 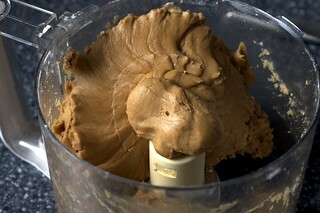 All else the same, although I did mix by hand with a pastry blender as I’m between food processors at the moment. By hand was fine. Bottomline – so glad I tried these. Will not be buying graham crackers again! How are these graham crackers? There is no graham flour in them. Keep searching I guess.